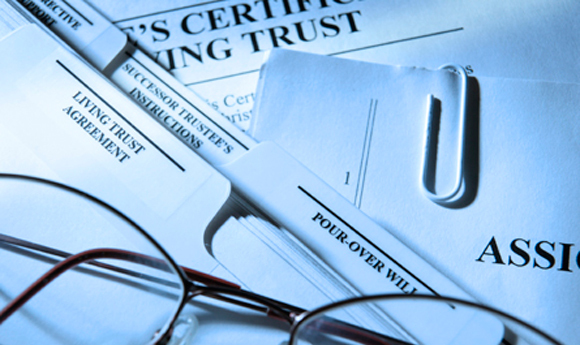 A trust is traditionally used for minimizing estate taxes and can offer other benefits as part of a well-crafted estate plan. A trust is a fiduciary arrangement that allows a third party, or trustee, to hold assets on behalf of a beneficiary or beneficiaries. Trusts can be arranged in many ways and can specify exactly how and when the assets pass to the beneficiaries. Since trusts usually avoid probate, your beneficiaries may gain access to these assets more quickly than they might to assets that are transferred using a will. Additionally, if it is an irrevocable trust, it may not be considered part of the taxable estate, so fewer taxes may be due upon your death. Assets in a trust may also be able to pass outside of probate, saving time, court fees, and potentially reducing estate taxes as well. State laws vary significantly in the area of trusts and should be considered before making any decisions about a trust. Choosing and creating a trust can be a complex process; the guidance of an attorney with estate planning expertise is highly recommended.